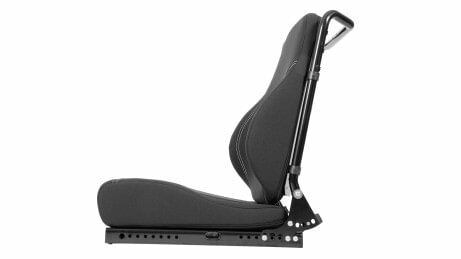 For years, the Ottobock contour seat has been offering you a good way to support your sitting position in your power wheelchair. 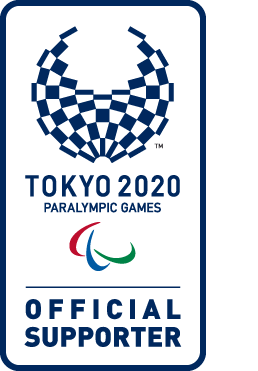 It is our aim to customise the interface between the body and the power wheelchair even further. 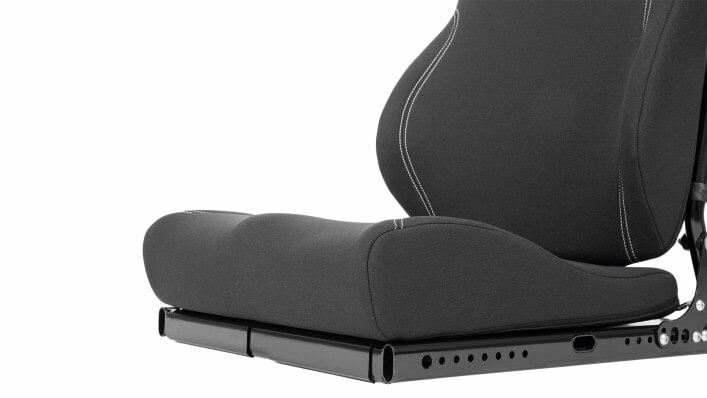 The new, improved contour seat was thus developed by experts from the fields of physiotherapy and occupational therapy. The result of this productive collaboration was an ideally shaped seat – which can be ordered in new sizes and contours. What is known as a ramp has been incorporated for the optimum positioning of the pelvis and the thighs. This, along with the back padding, supports active pelvic straightening and can prevent the pelvis from sliding forwards. A pelvis stabilised optimally in this manner forms the basis for all further positioning of the upper body and the foot and head area. 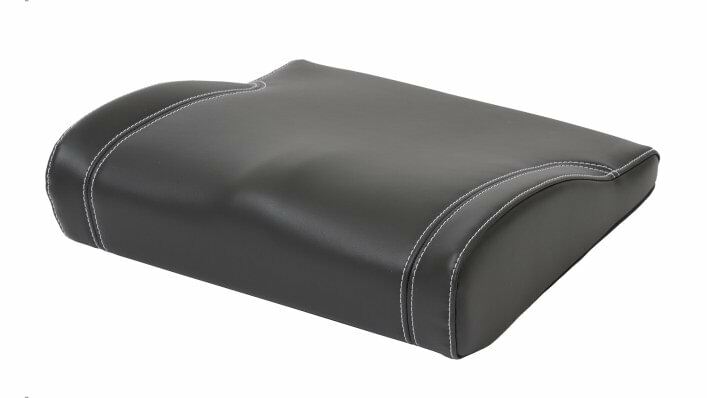 Easy-care synthetic leather and breathable spacer fabric (fabric cover) are available as covers. Both materials prove to be extremely flexible and resilient in daily use. 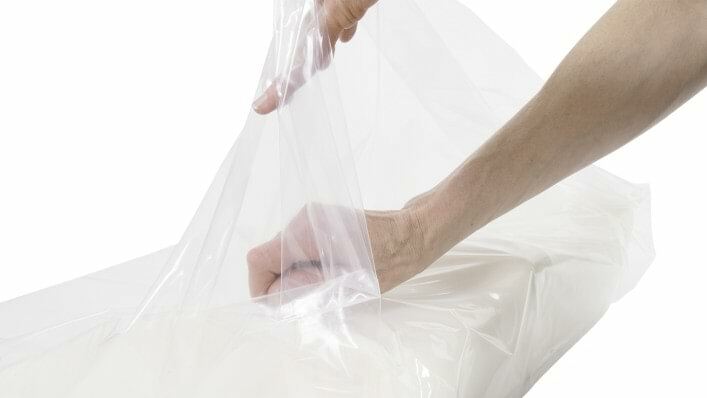 Thanks to generous zip openings, the covers can be replaced or removed for washing very easily. A bi-elastic incontinence cover is available separately. 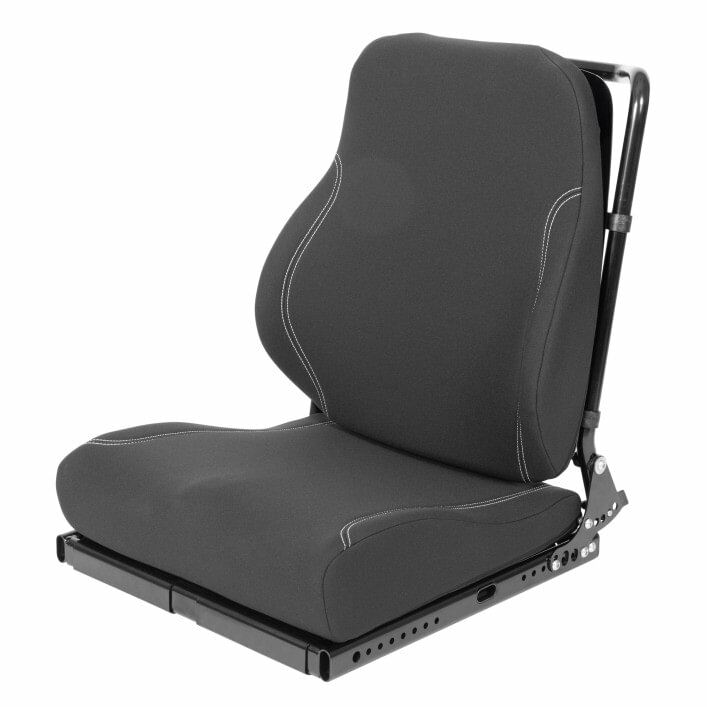 Depending on the postural support required, seat padding with a deep or flat shape is available. The former is shaped to the upper body with up to 10 cm-thick lateral guides for stable lateral support. The front edge of the cushion is ergonomically shaped and features a bottom gap. This offers more space for the calf muscles and enables a knee angle of up to 90 degrees. What is known as a ramp has been incorporated for the optimum positioning of the pelvis and the thighs. This, along with the back padding, supports active pelvic straightening and can prevent the pelvis from sliding forwards. 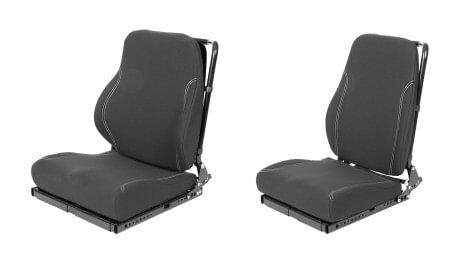 The front seat base is formed by the anatomically shaped seat surface, which offers a high level of lateral stability. The recess in the cushion for the thighs prevents them from rotating inwards or outwards and thus provides a physiological position that relieves the hip joint. In the trochanter region, space has been left at the sides to avoid pressure points in this critical area. This is also the reason for the seams running outside the bone structures (trochanter, ischium). All seat and back padding is produced and covered in a customised manner. 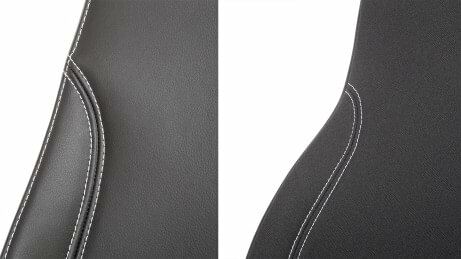 Two types of cover are available: easy-care synthetic leather and breathable spacer fabric (fabric cover). Both materials prove to be extremely flexible and resilient in daily use. 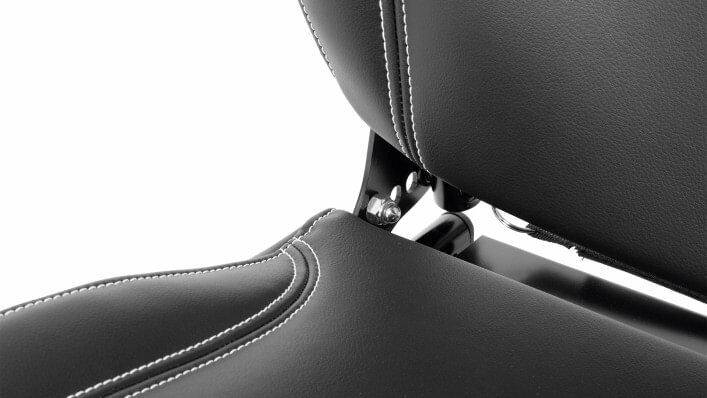 High-quality contrasting seams give the seat a sporty, modern design. A bi-elastic incontinence cover is available separately. This is fitted directly onto the seat padding foam.